Short Business Description: San Diego based company. Website help services support for any issues – Call us to do your website updates and changes, or emergency service for a broken web sites and pages. Talk to us about how to help setup a complete web site solution. Looking for a freelance web site designer in San Diego? Contact us to discuss your needs. We work your projects from start to finish and anything in between. Affordable Website Design Support Services, San Diego Webmasters since 1999. Get answers and help for web sites. 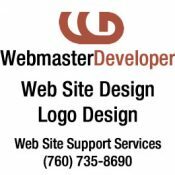 WebmasterDeveloper for affordable website design, hosting or maintenance specifically for small to medium businesses. Focus on your business while we help with managing your website needs, from design assistance, maintenance, hosting to anything in between. We focus on customer service with reliable, fast and professional solutions. Call 760.735.8690 for question and answers. Short Business Description: Affordable web design based in San Diego Since 1999. Everything you need for your website all in one place. We service all San Diego including Escondido, Vista, Carlsbad, San Diego proper and beyond. Looking for web site design services? 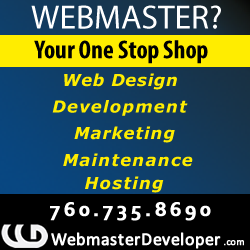 San Diego WebmasterDeveloper offers everything needed to get a web site. From design services to maintenance or emergency web site issues. Affordable web design based in San Diego Since 1999. Everything you need for your website all in one place. We service all San Diego including Escondido, Vista, Carlsbad, San Diego proper and beyond. San Diego WordPress Web Site Builders. Want a WordPress web site or need help on your current WordPress web site? 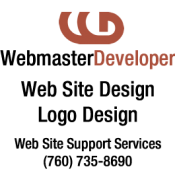 WordPress webmasters and developers. Emergency web site support services.